SAXON'S Biff Byford: "It Wouldn't Take Much for Us to Accept a Joint Tour with IRON MAIDEN and JUDAS PRIEST"
One of the most important bands in the history of metal, Saxon appears to have nine lives: they went through every difficulty you can name under the sun and survived, rising stronger than ever. Lineup changes, music trends, a fight for the band’s name, loss of popularity – nothing seems to deter these stubborn Brits, who released their 22nd album in 2018. “Thunderbolt” maintains the consistency and quality of recent efforts, and addresses themes as varied as Greek mythology, vampires, snipers and a homage to Motorhead. For the third time in a row, Saxon counted with Andy Sneap at the production helm, and he seems to have managed to capture the band’s essence to perfection. Age doesn’t seem to catch up with them – if you’ve seen them live, you know what I’m talking about. They have now announced a string of U.S. tour dates, following the incredibly successful tour with Judas Priest earlier this year and prior to their appearance on the 2019 Monsters Of Rock cruise out of Florida. 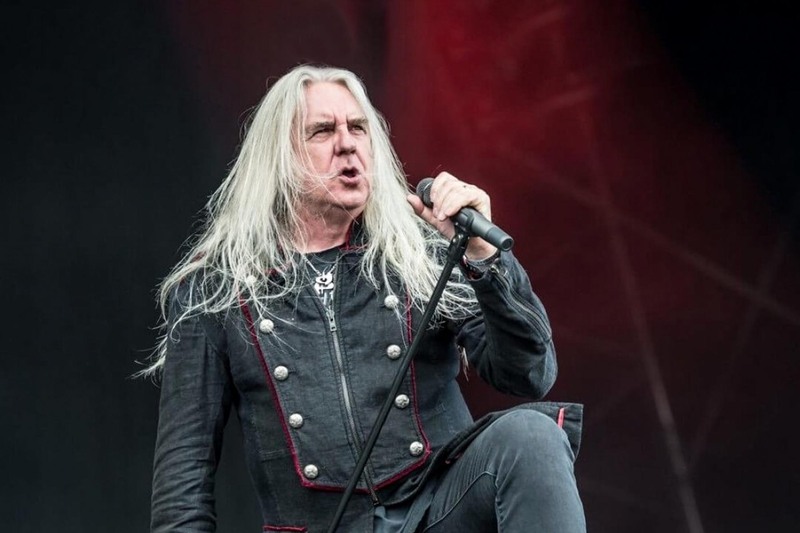 Saxon‘s vocalist Biff Byford spoke with Sonic Perspectives’ collaborator Rodrigo Altaf, and mentioned the current plans of the band, his efforts to record a solo album, and the difficulties the band went through in the 90’s, plus their wish to celebrate a special milestone in 2019. Check out their conversation in the audio player below, and remember to subscribe to our Podcast in several platforms to listen and be notified about new interviews and contents we publish on daily basis.